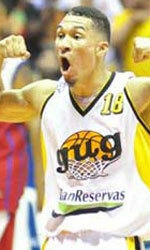 Furze Regia celebrated LNBP title. They outgunned visiting Soles to conquer the trophy. The best player for the winners was the former international Hector Hernandez (205-85, college: Fresno St., agency: BeoBasket) who scored 18 points, 7 rebounds and 4 assists. International forward Juan Anderson (198-93, college: Marquette) chipped in 10 points, 8 rebounds and 6 assists. Four Fuerza Regia players scored in double figures. At the other side the best for losing team was point guard Alexander Perez-Kaufmann (191-93, agency: Pro Sports) who recorded 24 points and American power forward Justin Keenan (202-88, college: Ferris St.) added 14 points respectively.